The key element of PBP is that at its core, it’s an exercise in collaborative storytelling between the GM and players. How your posts interact with those of the other players, not simply in terms of characters interacting, but how each post affects the flow of the game for everyone else, makes your posting choices more important. There are some key ways in which your posts can engage other characters, players, and the setting, to do your part when it comes to building a well fleshed out story, and a number of points to note (or avoid) as well. Character interaction drives the impetus of PBP. While the plotline of a published campaign or the GM’s notes frames the structure of a campaign, it is the ongoing story collectively told about the characters that bring it to life. A party is more than a group of disparate characters stuck in the same place. Unless the game plot starts as a prison break, each character has a reason, and motivations for being there, and for choosing to work with the other members of the group. While the heat of combat may forge a party’s tactics and teamwork, it is the quiet moments where the bonds between characters are forged, creating the moments where strangers come to hold each other in the deep regard we read of in our favorite novels. Downtime is an excellent opportunity for character interaction posts. The party healer going around and checking up on the more injured members of the party, the group discussing a night-time watch rotation, a night on the town after weeks spent in the wilds, all of these are opportunities for the characters to interact in moments where their lives aren’t in mortal peril. Think of which member of the party your character knows the least about and pick the same watch rotation. Strike up a conversation while sitting around the campfire. Does another character worship the same deity? Start a conversation about their tenets, or how you were raised or trained in the faith. One of the best ways to inspire character interaction is to include hooks in your posts. A hook would be an element that gives another character something to react to. Succeed at a knowledge check? Here are two different ways that could play out. Zane studies the object intently. Zane studies the object intently, a slight frown on his face as he delves his knowledge of arcane devices. After a few minutes, his eyes widen, an expression of intrigue crossing the wizard’s features. “Hnh….haven’t seen one of those since the academy.” he mutters aloud. Which of these gives the other players an opening to continue the scene? The hooks in the second post (Zane’s expression indicating something interesting, and his comment making it clear that he knows what the object is, and that it might be something rare,) are likely to inspire questions from other members of the party. By the same token, you need to pick up on the hooks that other players leave. A large part of what keeps the flow going in Play by Post is the banter in between key game actions. Other players will have things they want to drop hints about as well. If someone mentions something obscure, ask a question. If another player rolls exceptionally well, doing something amazing in-game, react to it in character, consider how impressed your character would be by said action and post accordingly. Find opportunities to let other players express their character, and you’ll find others doing the same for you. The in-game character interaction and out-of-character player cooperation are as vital to the game as the ploy or character abilities. One of the key elements of PBP’s can also be one of its weaknesses, the time between posts. Sometimes real life gets in the way. The GM might call for a skill check or action by a particular player who may not be able to post for a while. The GM themselves may for one reason or another not respond immediately to a post. These lulls, if extending for too long may detract from momentum, the biggest Achilles heel of play by post gaming. There are a number of ways that players can fill these lulls, getting in a few posts in between to keep the game moving. Aid another: One of the most useful and underused actions in the game, the Aid Another action allows you to roll a skill check as a means of assisting another player in making the same check, increasing their chances of success. If the aiding party rolls a 10 or higher, the primary person performing the check gains +2 to their result. Consider what actions your character might take to help the situation and include it in your post. Not only does it increase the chance of success, but gets a few additional posts in while awaiting the GM’s post on the result of the skill check. Embrace your backstory: In movies, and even more so in books, characters often encounter things that conjure up memories of their past. These encounters or events can serve to illuminate the character’s background, illustrating much of what has helped to form the character’s current frame of reference. In quiet posting period, consider having your character experience a memory or flashback that can tell more of their personal tale, while at the same time relating to the current situation. 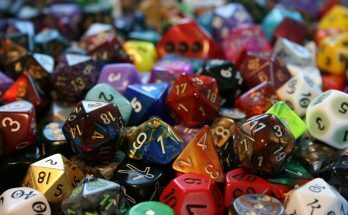 It will not only keep the momentum going, and entertain your fellow players, but potentially provide the GM with a personal plot hook for your character in the future. The interaction between the characters and players can be the lifeblood of a PBP game, giving life to a group of disparate characters that come together to form a unit around which the story unfolds. Making the most of character interaction will lead to a more rewarding experience for everyone.